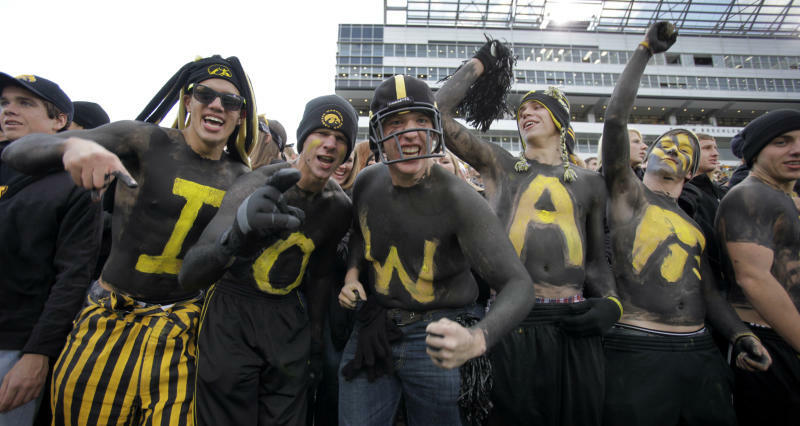 IOWA CITY, Iowa (AP) — College students consider the University of Iowa the nation's best party school, even though Iowa City has tried to make its famous bar scene less hospitable to underage drinkers. The Princeton Review bestowed Iowa with the top ranking Monday on a list determined by 126,000 students in a nationwide survey. Rounding out the Top 5 are: University of California, Santa Barbara; the University of Illinois at Urbana-Champaign; West Virginia University and Syracuse University. The organization also released its "stone-cold sober schools" list — led again this year by Brigham Young University in Provo, Utah; and followed by Wheaton College in Wheaton, Ill.
Officials in Iowa City aren't celebrating the ranking, which comes after they've made recent strides in the battle against binge drinking on campus and downtown. University of Iowa spokesman Tom Moore said The Princeton Review "gets some things right," by describing Iowa as an affordable Big Ten university with students who are both studious and social. "That indicates they are balancing their academic responsibilities with their social pursuits," he said. The rankings are based on surveys in which an average of 333 students per campus are asked 80 questions about a range of subjects in the last three school years. Its methodology uses a five-point scale, allowing for school-to-school comparisons. Universities routinely dismiss the rankings as unscientific and invalid, while praising the free publicity that comes along with positive ones. For instance, Emerson College is likely to embrace its ranking Monday as the most LGBT-friendly school, and the University of Mississippi will certainly tout its "most beautiful campus" designation. Packed Iowa City bars blaring dance music, off-campus house parties and tailgating before Hawkeye football games are as much a part of Iowa's culture as the cornfields that surround the city. Fraternities and sororities also contribute to the party atmosphere. But the No. 1 spot seems out of step with national data released this year showing fewer Hawkeyes are drinking and engaging in high-risk drinking. The percentage of Iowa students who reported drinking in the last 30 days (75 percent) was the lowest in 20 years of studies, even if it was above the national average. Policy changes have scaled back Iowa City's bar scene, and a 2010 ordinance requiring customers to be 21 to enter bars — instead of 19 — is credited with reducing drinking and crime. Once popular watering holes such as Vito's and One Eyed Jake's have closed, replaced by an indie movie theater and a nice restaurant. "We are continuing to work to change the culture on our campus by educating students to only consume alcohol in a legal, safe and responsible manner, and those efforts are achieving results," Moore said. The No. 3 party school sprawls across parts of two cities — Urbana and Champaign, Ill. — and in both, students younger than 21 can legally enter bars. In Champaign, where most of the bars are located, the minimum age is 19; in Urbana, it's 18. 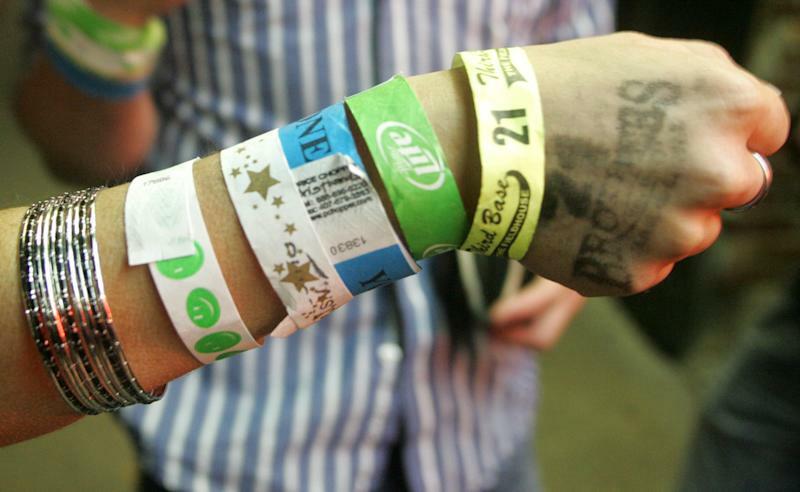 The campus' party reputation is enhanced by a single annual event, Unofficial St. Patrick's Day— or, simply, Unofficial — when thousands of students and others converge for a day of drinking at parties and in bars. Local police ticket hundreds every year, and some city leaders have tried to limit Unofficial by restricting bar operating hours and taking other steps, with little or no success. At the University of Wisconsin-Madison, No. 8 on this year's list, university officials and the city have worked to address the drinking problem, including passing an ordinance in 2012 designed to crack down on large house parties and trying to provide more entertainment options for students who aren't of legal drinking age. Starting this fall, all incoming students will be expected to complete an online education program about alcohol abuse. "When I started my freshman year, there was no talk in orientation or any sort of things in the dorm about alcohol, even though we all knew coming in what the reputation was of Madison as a party school," said Mark Woulf, a 2010 graduate who now serves as the city's food and alcohol policy coordinator. Given that changing the booze-heavy culture is difficult, the school is now teaching students to take responsibility for themselves and their friends, Woulf said. The Princeton Review senior vice president Robert Franek said its lists are based completely on students' opinions, and that Iowa's ranking does not diminish the Review's "great respect" for the school's academics or progress it's made regarding alcohol issues on campus. The privately held education services company has published "The Best 378 Colleges" book annually since 1992. It includes 62 lists, such as the best-run college — Claremont McKenna College in California — and best college library — Columbia University in New York City. Associated Press writers Scott Bauer in Madison, Wis., and David Mercer in Champaign, Ill., contributed to this report.